Need a vacation from the 21st century? Or cold, northern winters? 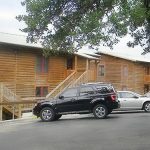 For more than 25 years, Log Cabins at Jacobs Creek — located on five, heavily wooded acres with oaks and cedar trees — has been Canyon Lake-area’s destination-of-choice for tourists, Winter Texans, families, corporate retreats, church groups and couples seeking a year-round, rustic respite from modernity. 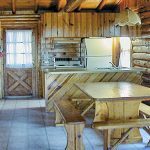 Log Cabins at Jacobs Creek are constructed of white cedar logs and feature all-wood interiors that hark to a bygone era. The view of the lake is spectacular. 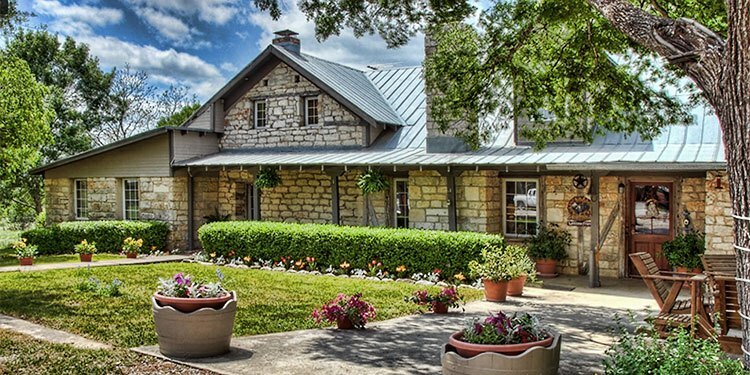 It’s a Texas-sized home-away-from-home that accommodates up to 70 guests at a time. 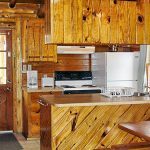 One-bedroom/one-bathroom cabins include all of the amenities of two-bedroom/two-bath cabins. Two beds only. 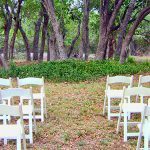 Log Cabins at Jacob Creek hosts wedding and special events for 48-70 guests, depending on privacy needs. 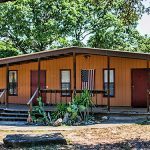 You and your guests can enjoy our quaint and serene atmosphere while surrounded by the many attractions and activities available in our neck of the beautiful Texas Hill Country. Rent the entire property for the weekend to avoid decorating issues! 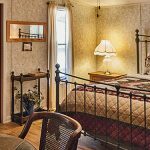 There are many nearby B&Bs, country inns, and other overnight accommodations for additional guests.